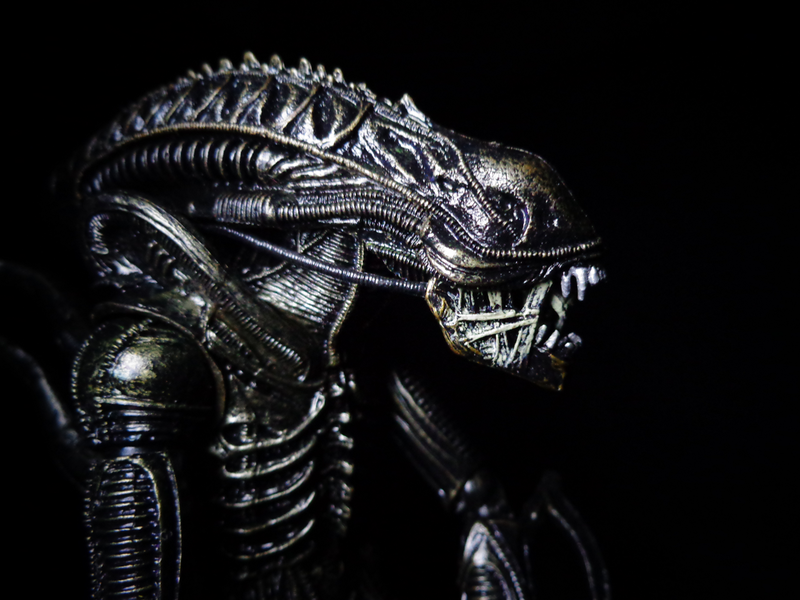 If you want to start a fight, ask any fan of Aliens whether the xenomorphs were black, blue, or brown. The answer is brown, but most of the lighting in the film was dark with a blue tint, so you’ll be excused for thinking otherwise. And if you trust video games, comic books, and toys, you’ll get anything from purple to green, so no help there! Their queen is dead and the hive has been left to flounder on its own. On a world bereft of its only guiding force, a schism is taking place. 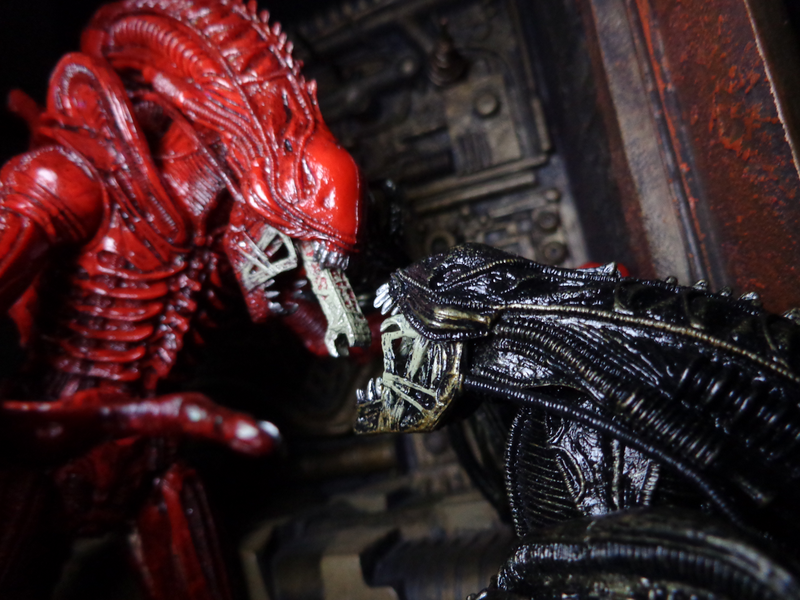 Two strains of Xenomorph, formerly united by one all-powerful mother, now divide their forces for a world-shattering, acid-drenched civil war. Aliens: Genocide was a comic mini-series set in the Aliens universe that took the idea of Xenomorphs as an ant-like hive, and ran with it. 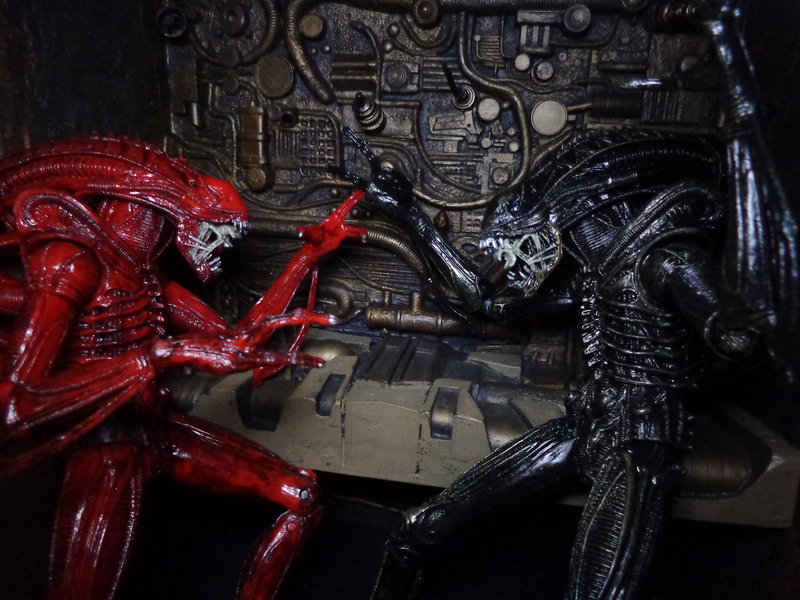 The main plot had to do with people synthesizing some sort of alien drug, but the comic’s big drawing point was a hive war between two queen-less Xenomorph factions, one red and one black. Yeah, they kind of ran with that “ant” analogy, but it worked, and that is what most people remember from the series. 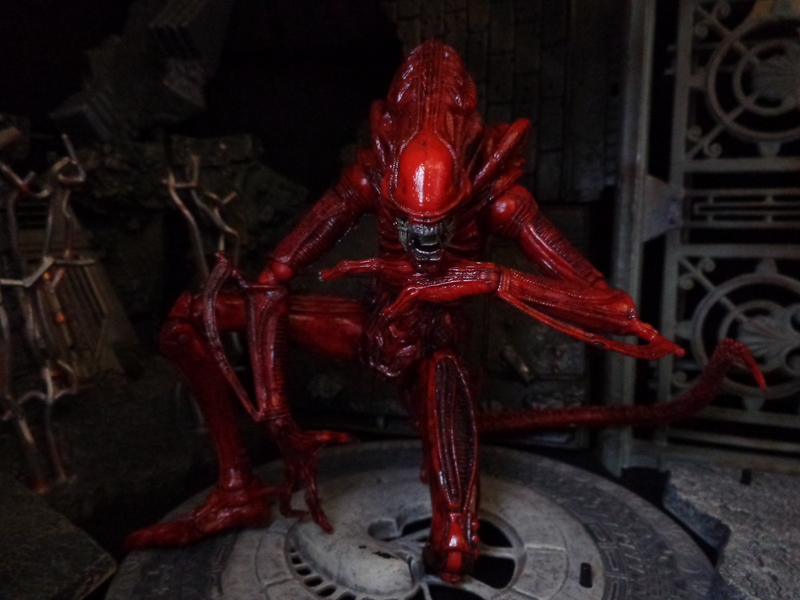 Since NECA has this thing about delving into the expanded universe as much as possible (remember Big Red Predator? ), they went ahead and made a special pack of two figures based on the comic. 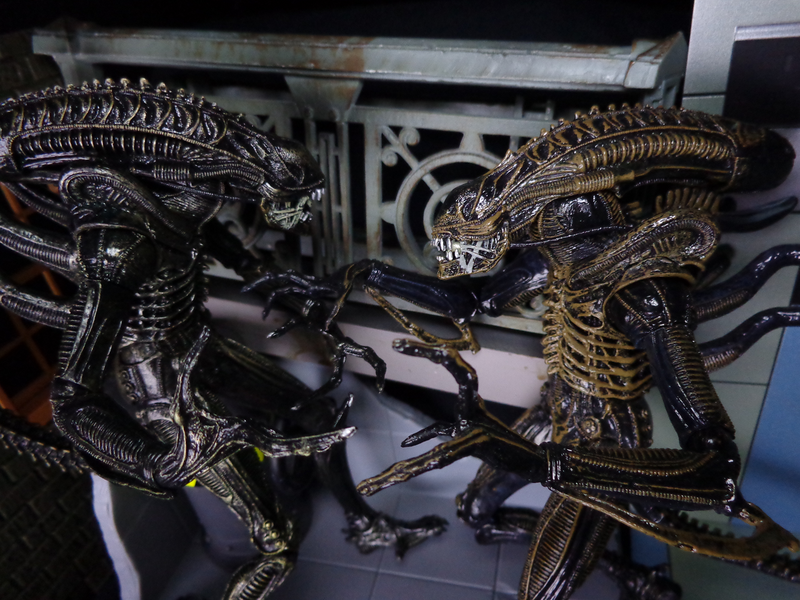 It also provides NECA with a nice excuse to reuse their new Xenomorph sculpt – counting these, the first Xeno, and the upcoming blue one, that’s four repaints in six months! I am going to refer back to my review of the first figure a few times, but I’ll try not to rely on that too much. …Well, this doesn’t bode well. 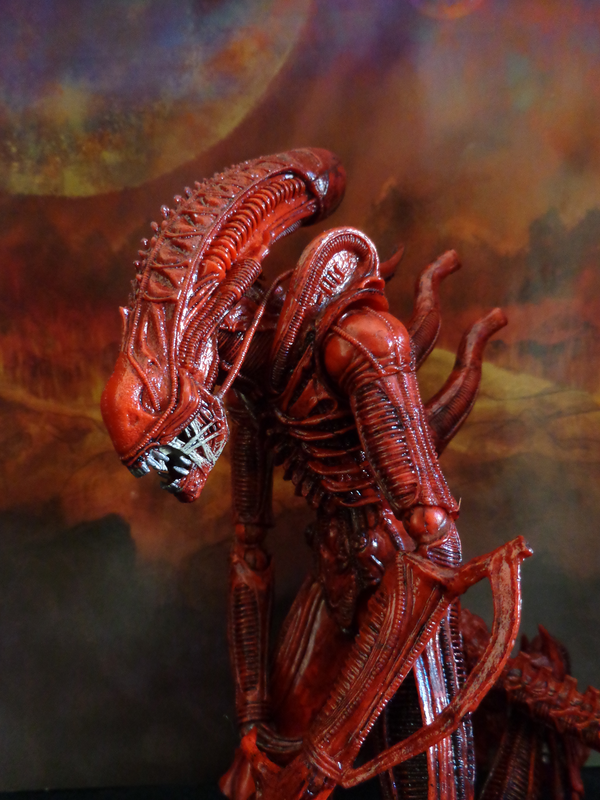 The single-carded Xenomorph Warrior got four stars for its sculpt, whereas this one only earns three and a half. Why? Because of durability. 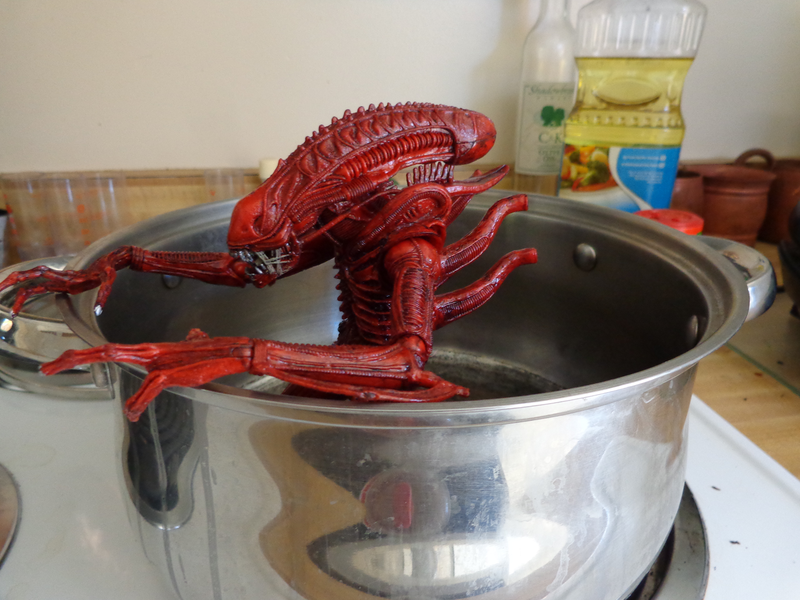 I heard some reports of the regular alien becoming damaged, but mine is very sturdy. These guys, on the other hand, are kind of sad. Both their jaws fall off with ease (one of them was unattached in the package, just hanging there suspended by his neck-tubes like a strange necklace), their right biceps pop out, their shoulder joints are too stiff, their hip rubber has stress marks, their inner jaws are rubbery and get stuck, and their removable dorsal spikes won’t stay in. The plastic actually feels a little lighter and gummier, too – what happened? Now, don’t get me wrong, these aren’t BAD, they’re just not as good as the original. However, other than that the sculpt is fantastic. 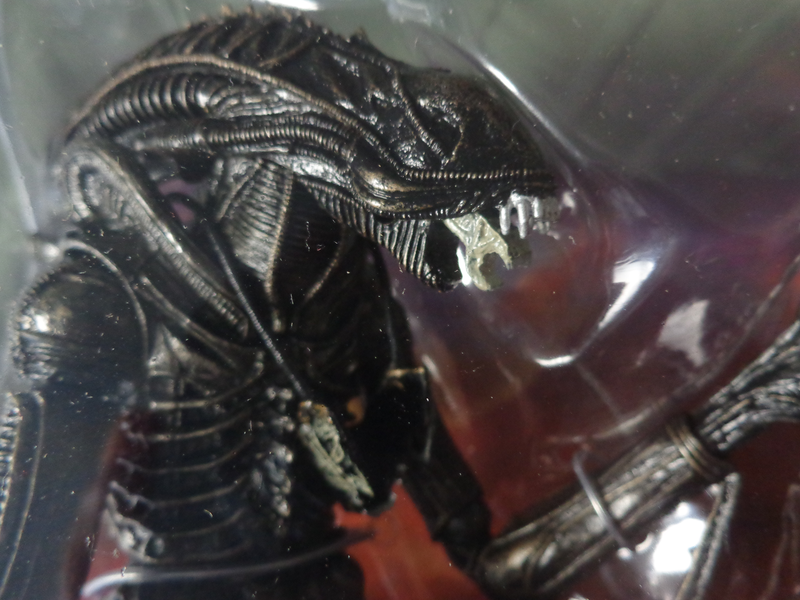 As I said before, NECA has managed to capture every single little detail of the Alien suits from the second movie, even down to the weird things like those neck tubes! 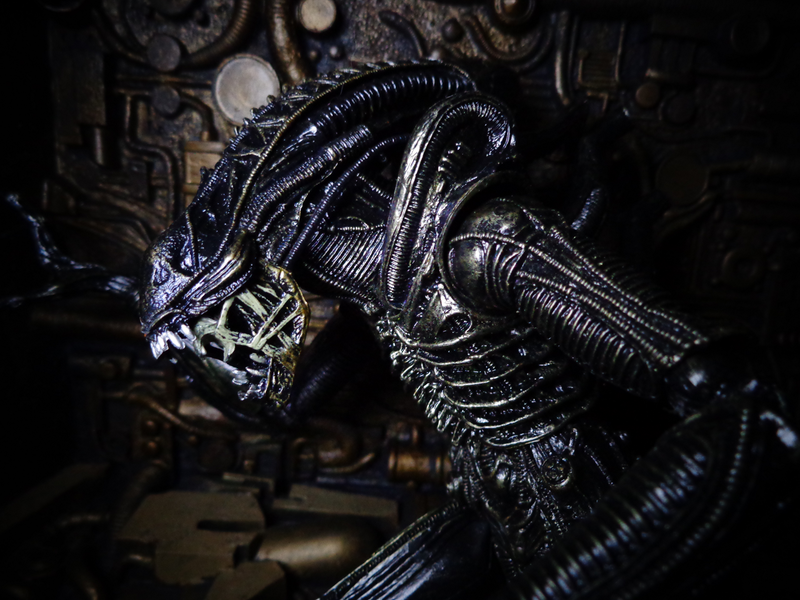 This really is the best Alien sculpt on the market, and it’s nice to see NECA milk it for all it’s worth so that everybody can get one. Now we reach the main drawing point of this set: The paint. Was it worth it? 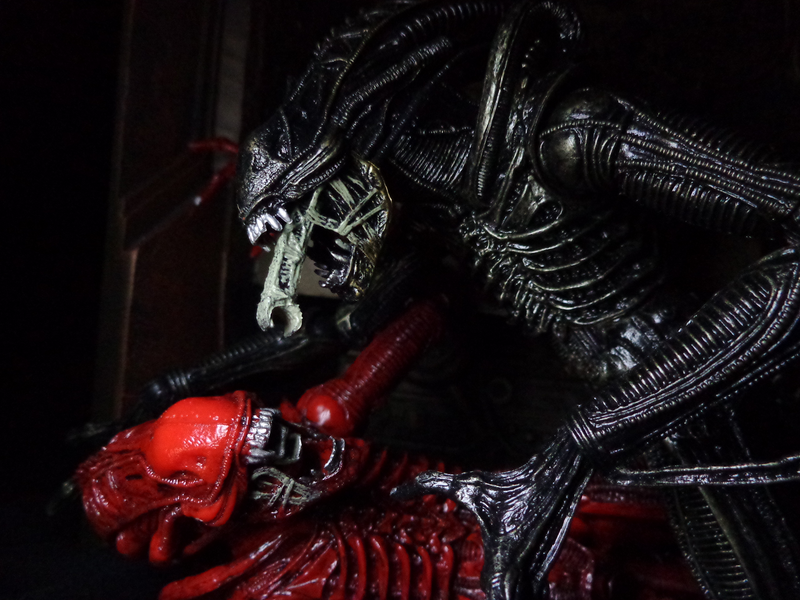 The next single-carded Xenomorph release will be blue-tinted, so the black one in this set might be the only chance for fans to get that version of alien. It isn’t purely black, instead carrying a faint brown wash and some silver highlights, which accent the creature’s details. It has a slight metallic sheen, making its carapace look more like a beetle’s (or an ant’s, presumably that was the intention). The brown looks like dirt, and there are some brighter splotches on its face, hands, and feet. 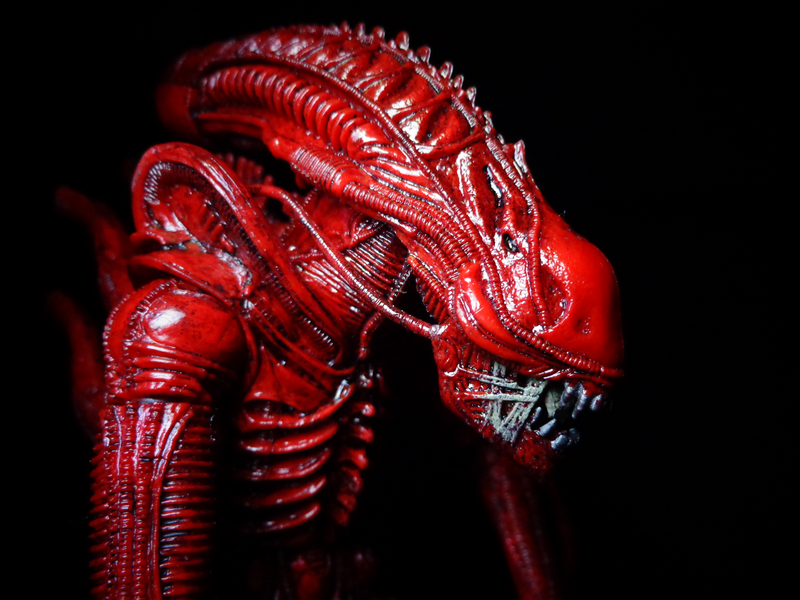 Just as with the single-carded Xenomorph, its jaw tendons are slightly lighter than the rest of its body. The paint is great with this little guy, even though it’s not as striking as the brown original. 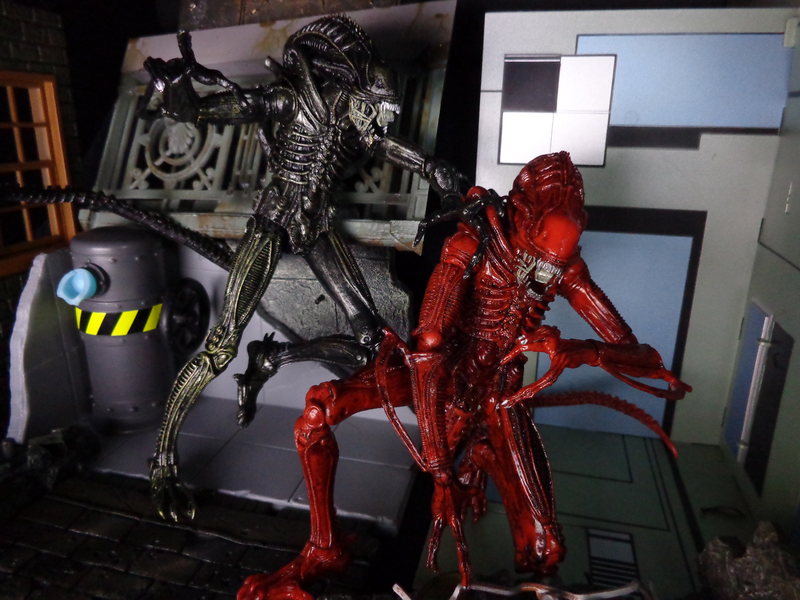 Even though it’s not movie-accurate, the red Xenomorph is definitely the drawing point of this set. It really stands out… like an overcooked lobster. Seriously, I don’t get a “red ant” vibe from this figure as much as I do a “Red Lobster, for the Seafood Lover In You!” vibe. This isn’t bad, but it made me actually consider going to that foul cloaca of a restaurant. I love the red, and I’ve found myself handling this one a lot more than its black brother. So it gets maximum points for fun and creativity, but on closer inspection, I do have to admit that the paint job is lacking. 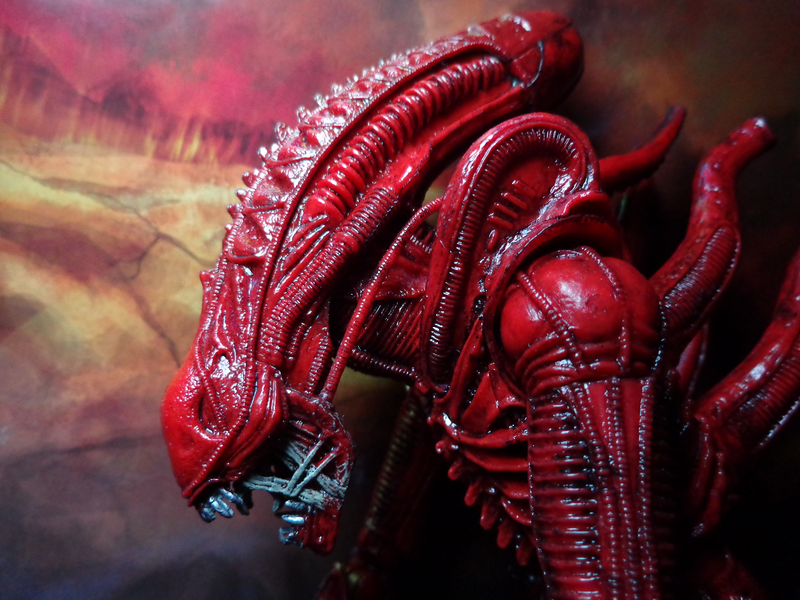 The entire figure is flat red with an uneven black wash, as well as some detailing for its teeth, inner jaw, mouth tendons, and fingernails. The toenails are unpainted. The problem is that the black wash is uneven – it looks like a paint wash, not like any sort of realistically-detailed body. 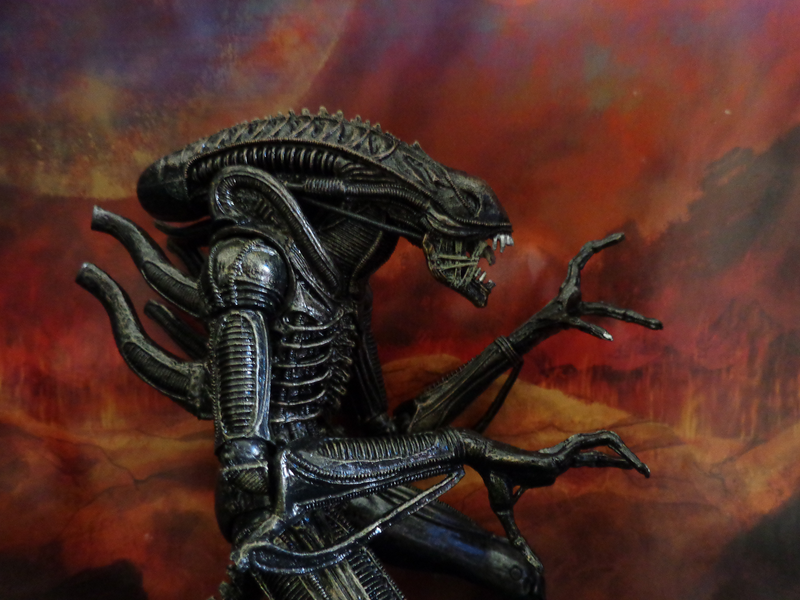 And in the places where it’s especially thin, like the Xenomorph’s face, the figure just looks less like a monster and more like a toy. Yes, on the whole, these are minor issues (well, the toenails are a real problem), but they do detract from the quality of the red alien. 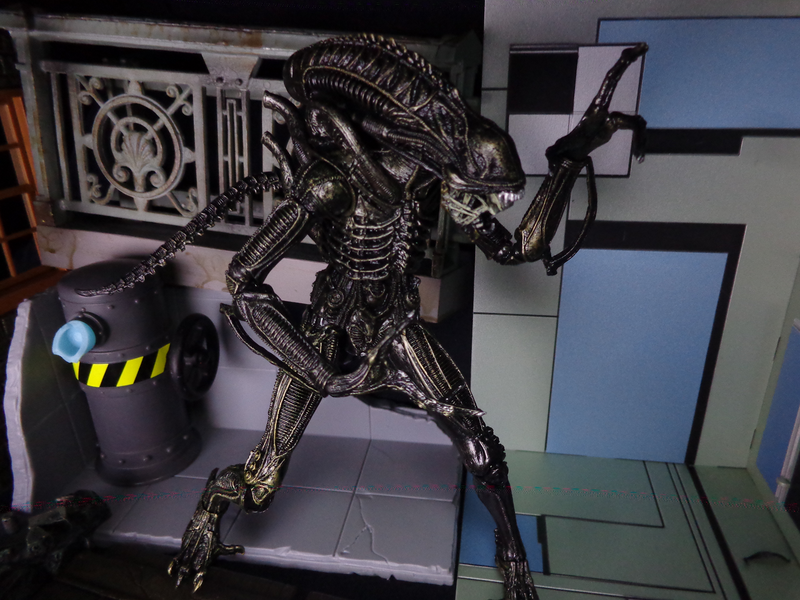 Both Xenomorphs have identical articulation to the single-carded figure: ball-jointed head, shoulders, wrists, hips, torso, ankles; double ball-jointed elbows and knees; swivel biceps; hinged toes and a hinged jaw with extendable mouth; and a bendy tail. This is excellent – as I said before, you can put these Aliens in virtually any pose you can imagine – from a fetal position to lunging for the kill. The bendy tails feel sturdy, too, and I’m glad of that. Their legs are just as stable as before, along with the somewhat-worrisome hip rubber, but there are some general durability issues with these toys. I have heard of a lot more quality control issues than with the single-carded figure, and it shows in mine. Their dorsal spikes barely stay in – my red’s really has problems with that. Their right biceps are loose and pop off immediately. They have loose jaws but stuck inner mouths. Overall, they just feel slightly lighter and cheaper, and I hope that this is not a bad sign going forward in the Aliens line. All of these issues, even the detached lower jaw, are easily fixable without genuine repair, but I’ve heard of a lot of legs that snapped off. So beware when you get these figures, as you might want to try to snag a few extras just in case. 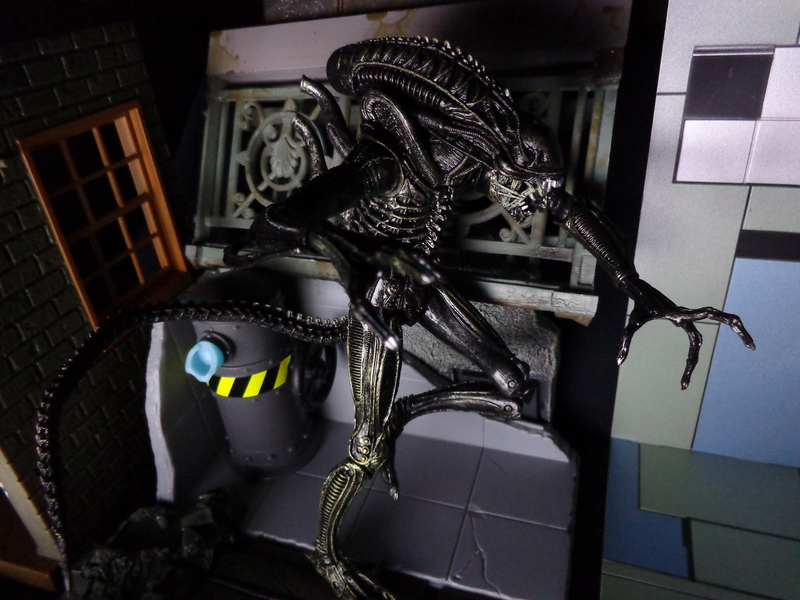 Unless you count the paper backdrop, these aliens don’t come with a thing – not a single egg, chest burster, face hugger, or even a stand! I dislike that. NECA usually adds something to their figures, even the multipacks, so this just feels lacking in some way. 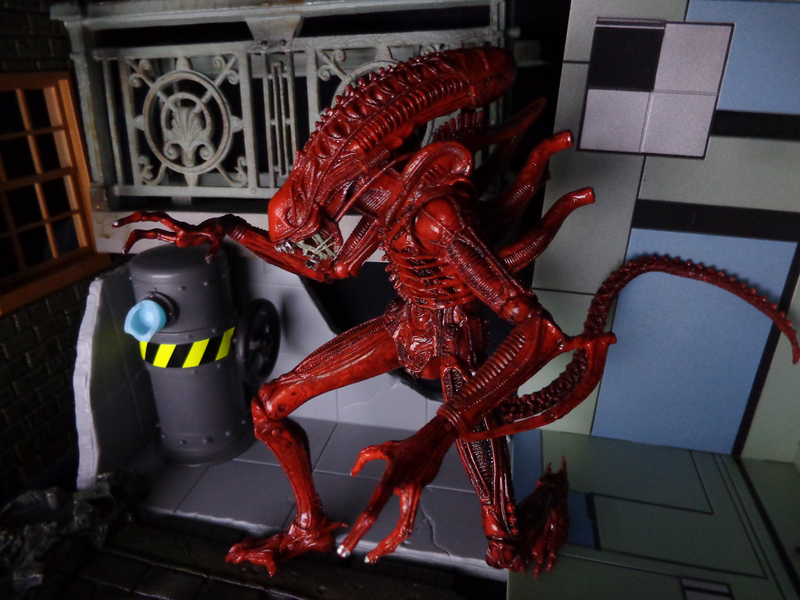 I don’t like paying $36 in one go, but it amounts to $18 a figure – that’s close to what individual Xenomorphs cost at retail, though it’s hardly at a discount. Still, if you want one, it’s best to snag them now before the price goes up. Apparently, these guys break a lot. Watch all the joints, tubing, and things that stick out. Make sure they all work fine, and beware any looseness. Toys R Us has them right now, as does Big Bad Toy Store. But hurry, or you’ll be stuck on eBay and Amazon! 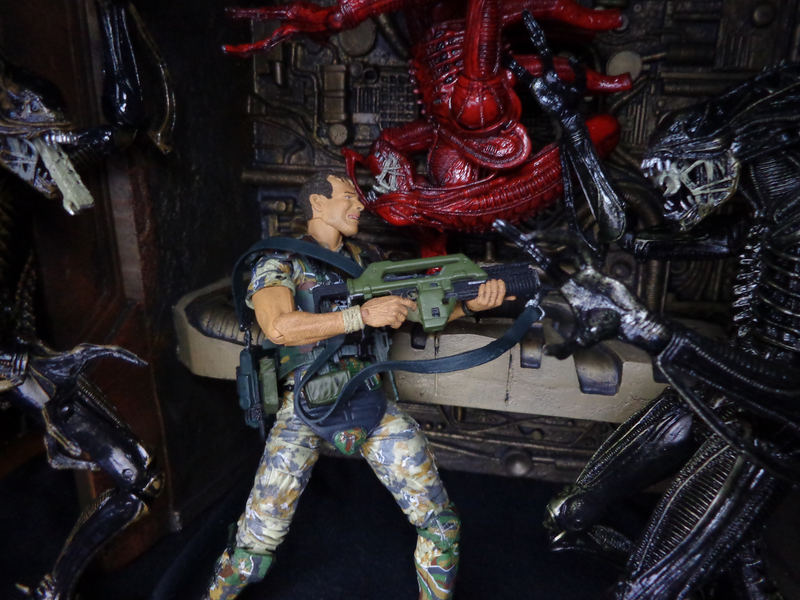 It’s a great concept, and he execution is good, but they just aren’t as fantastic as the single-carded Xenomorph Warrior. 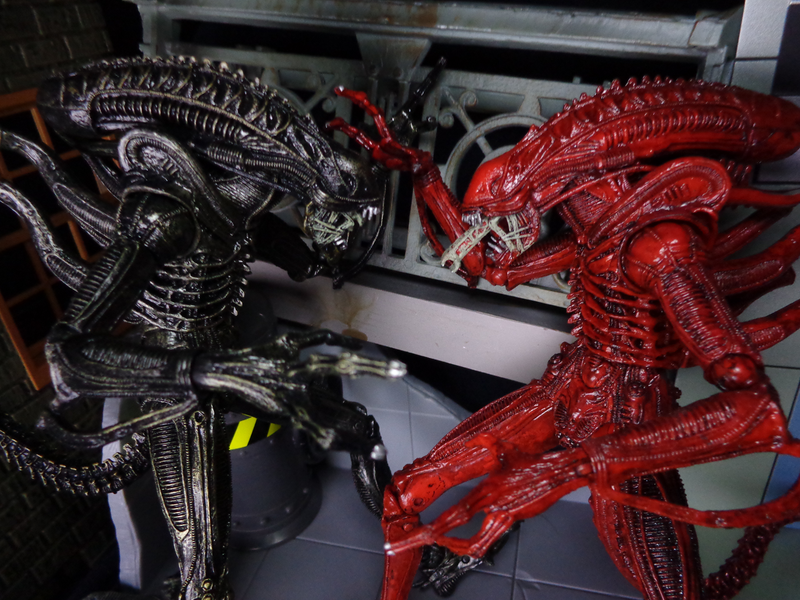 People who were disgruntled with the brown Alien are likely going to love the black one, and the red Xeno is surprisingly fun, but the figures simply aren’t very durable, and their paint is kind of hit-and-miss. Still, for a pair of army builder repaints from a twenty-year-old comic book, you could hardly ask for more. europeans pay 25E or 20pounds over amazon.co.uk delivery included. want me to tell how much an average fan like me makes a month? probably less than your wellfare. …I was really taken with the background dioramas, particularly the bulkhead with the barrel. Are you interested in selling or making any similars for profit? These are great. They mostly came with some other toys. Let me see now… the bulkhead withcthe barrel came with Aqualad/Kalduhr from Young Justice. 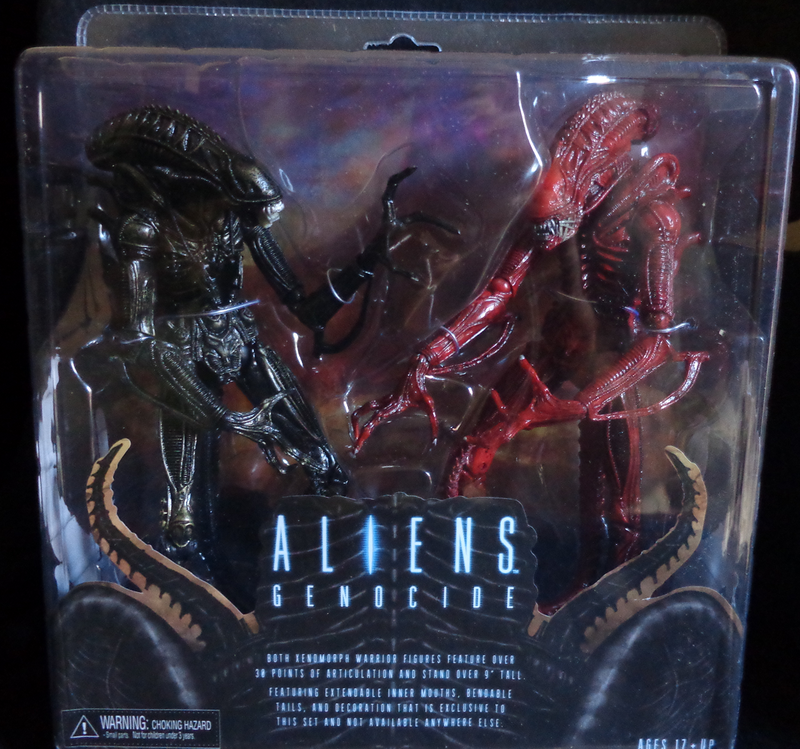 When you say the single carded figures are more durable, does that include the single carded red alien as well?